The cold front has cleared western Virginia...here comes the colder air. Expect a cool, gusty day Friday with a few showers...a few snow flakes may mix in Friday night (especially in the mountains). Shenandoah Valley locations likely don't get out of the 30s Saturday before we warm up again Sunday into the first part of next week. 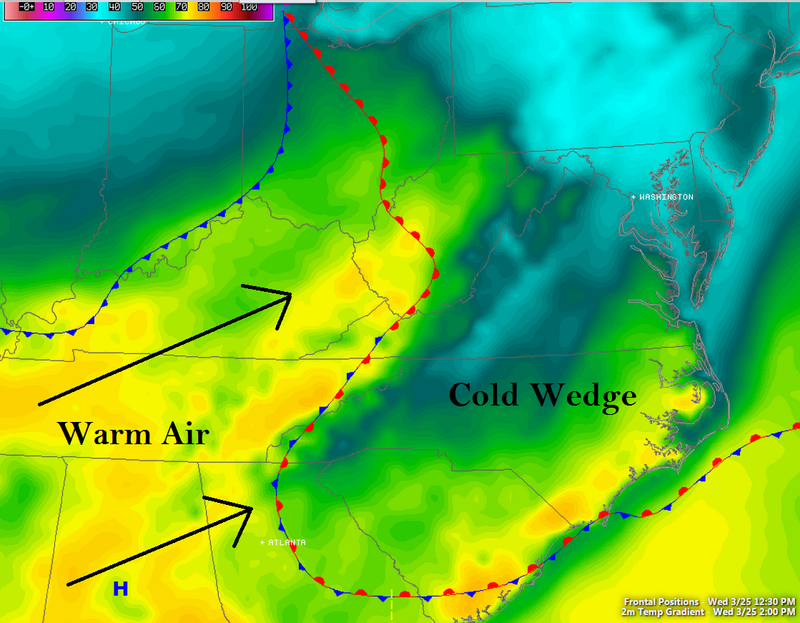 We've struggled to warm up too much today thanks to wedging taking place down the eastern side of the Appalachians. You can see much warmer air off to our south and west which will filter in late tonight and tomorrow as the warm front slowly pushes north. Southerly flow will help most of us will warm into the upper 60s and low 70s tomorrow before a cold front swings through tomorrow night. This will bring the chance for a few showers...maybe even a thunderstorm or two. The best shot will be along and east of the mountains where instability values are higher. Not expecting too much in the way of severe weather but brief, strong gusts are certainly not of the question. 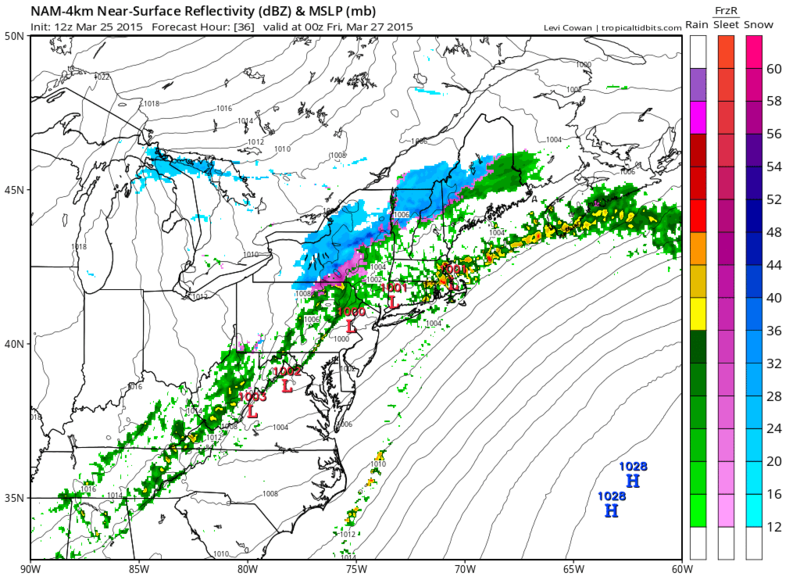 The bigger story will be the drastic temperature swing behind the frontal passage. After highs near 70 Thursday, we'll be stuck in the 30s and 40s Saturday. There will likely even be upslope snow flurries and snow showers across the mountains Friday and Saturday. Fortunately, this cold blast looks short lived and we'll quickly warm back up early next week. Oh, Spring.